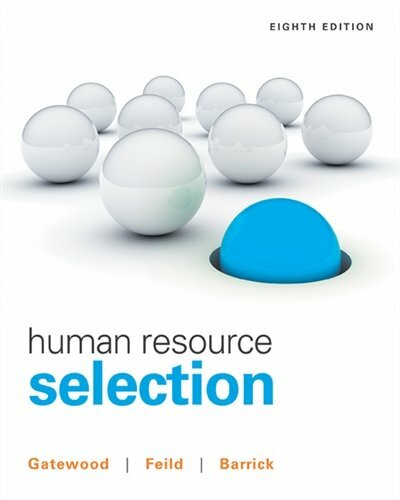 1305102681 -Packed with the latest research, court findings, and best practices from the field, Gatewood/Feild/Barrick’s HUMAN RESOURCE SELECTION, 8E equips learners and practitioners alike with the tools to develop and implement effective selection programs within today’s unique organizations. With an engaging presentation, the book focuses on the most important legal, global and ethical concerns; psychometric measurement concepts; job analysis; predictors of job performance; criteria measures; and much more. It also introduces future and current practitioners to the most popular selection tools?as well as the technical challenges. In addition, detailed discussions explore the role of social media in the selection process.